Made his film debut in The Power of One (1992), which also featured John Gielgud. He later appeared in Elizabeth (1998), which turned out to be Gielgud's final film role. 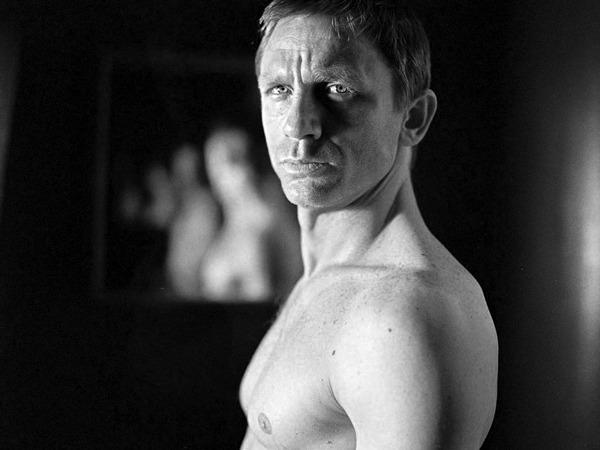 Daniel Wroughton Craig - Craig was born in West Cheshire Hospital, which opened in 1984 as the Countess of Chester Hospital, in Chester, Cheshire, England. His mother, Carol Olivia (née Williams), was an art teacher, and his father, Timothy John Wroughton Craig, was the landlord of the pubs "Ring o' Bells" (in Frodsham) and the "Boot Inn" (Willington, Tarporley), and also served as a midshipman in the Merchant Navy. Both of Craig's parents were of half Welsh descent. Craig was brought-up on the Wirral Peninsula, near Liverpool, and attended primary school in Frodsham, and later Holy Trinity Primary School in Hoylake. After failing his Eleven plus, Craig (along with his older sister, Lea) attended Hilbre High School in nearby West Kirby. Upon finishing his compulsory secondary school education at the age of sixteen, he joined Calday Grange Grammar School briefly as a sixth form student. Craig played for Hoylake RFC Rugby Union Club. Daniel began acting in school plays at the age of six. He was introduced to serious acting by attending the Everyman theatre in nearby Liverpool city centre with his mother. Craig moved to London when he was sixteen to join the National Youth Theatre. He attended the Guildhall School of Music and Drama at the Barbican and graduated in 1991 after three years of study under Colin McCormack. Craig appeared as Joe in the Royal National Theatre's production of Tony Kushner's Angels in America in November 1993. Also in 1993, Craig appeared in an episode of Yorkshire Television's Heartbeat, which aired 31 October 1993. An early starring role was as 'Geordie' in the BBC's 1996 drama Our Friends in the North, with early film roles being as Angelina Jolie's rival and love interest in Lara Croft: Tomb Raider (2001), before appearing in Sam Mendes's movie Road to Perdition (2002), with Tom Hanks and Paul Newman. Other leading film roles include Sword of Honour (2001), The Mother (2003) with Anne Reid, Sylvia (2003) with Gwyneth Paltrow, Layer Cake (2004) with Sienna Miller, Enduring Love (2004) with Rhys Ifans, Steven Spielberg's Munich (2005) with Eric Bana, Infamous and Casino Royale (2006), The Golden Compass (2007), Quantum of Solace, Defiance (2008), Cowboys & Aliens (2011), and The Girl with the Dragon Tattoo (2011). The 19 April 2010-release of Craig's expected third Bond film (the 23rd overall in the series) was delayed, because of financial troubles with MGM, but the film (Skyfall) was released on 23 October 2012, and was part of the year-long celebration of the 50th anniversary of Dr. No. 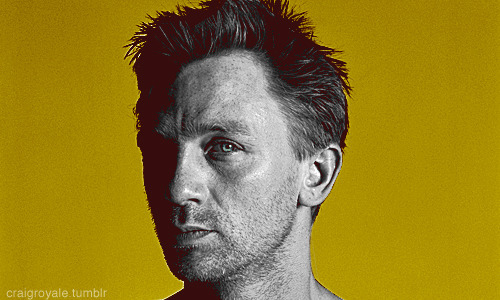 On 8 September 2012, Bond producers announced Craig had signed on for two future Bond films and not five as previously reported. This would bring his total to five films, which would be two fewer than Roger Moore's record of seven. In 1992, Craig married actress Fiona Loudon, with whom he had a daughter, Ella. The marriage ended in divorce in 1994. After his divorce, he was in a seven-year relationship with German actress Heike Makatsch, ending in 2001. He subsequently dated film producer Satsuki Mitchell from 2004 until 2010. Craig and actress Rachel Weisz had been friends for many years, and worked together on the movie Dream House. They began dating in December 2010 and married on 22 June 2011, in a private New York City ceremony, with just four guests in attendance, including Craig's 18-year-old daughter, Ella, and Weisz's four-year-old son, Henry. In October 2008, Craig paid £4 million for an apartment in a converted old house in Primrose Hill near Regent's Park, London. He is a Liverpool F.C. supporter. 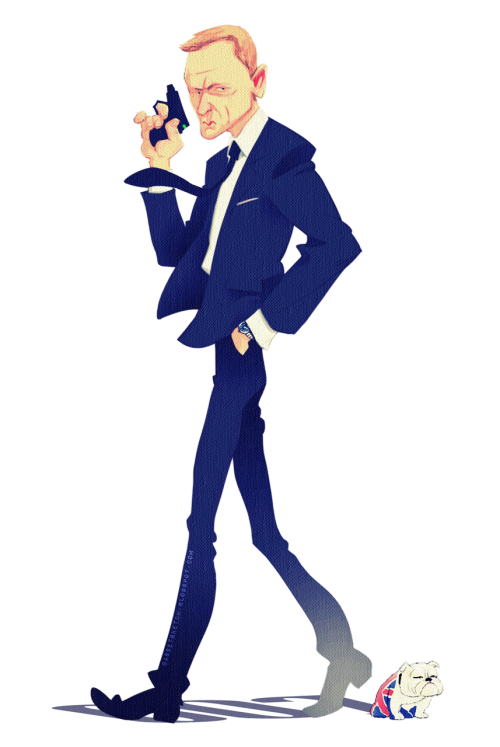 Craig's reserved demeanor and his avoidance of the showbiz-party-red-carpet milieu makes him a cool "007". 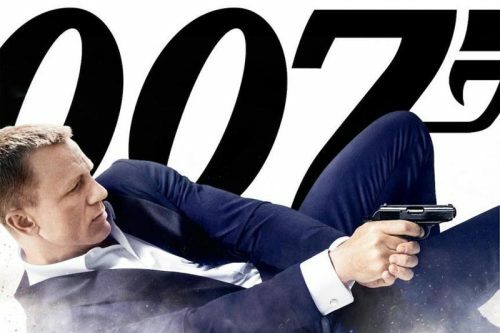 He is the first blonde actor to play Bond, and also the first to be born after the start of the film series, and also the first to be born after the death of author Ian Fleming in 1964. Four of the past Bond actors: Sean Connery, Roger Moore, Timothy Dalton and Pierce Brosnan have indicated that Craig is a good choice as "Bond". He has a daughter, Ella Craig (born 1992), who lives with his ex-wife Fiona Loudon in London. 2000: Named as one of European films 'Shooting Stars' by European Film Promotion. He was nominated for a 2002 London Evening Standard Theatre Award for Best Actor for his performance in A Number at the Royal Court Theatre Downstairs. One of the many actors considered to take over James Bond from Pierce Brosnan. He officially accepted the role in October, 2005. He is the first Bond actor to have been born after the Bond series began. 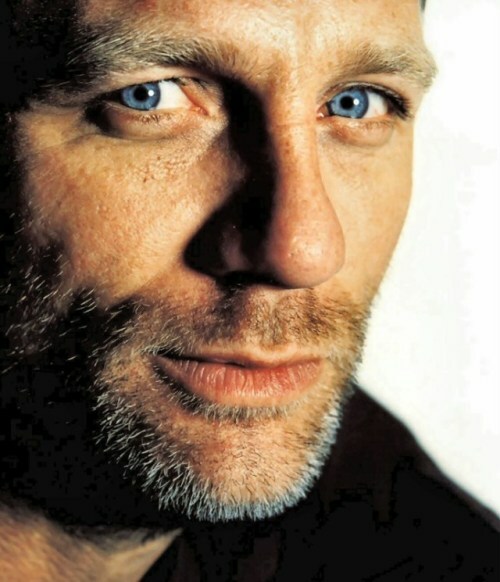 Appeared in Sharpe's Eagle (1993) (TV) with Sean Bean. Bean played the villain in GoldenEye (1995), which was directed by Martin Campbell, who also directed Casino Royale (2006). Voted #7 in Elle (France) Magazine's "15 Sexiest Men" poll (June 2007). 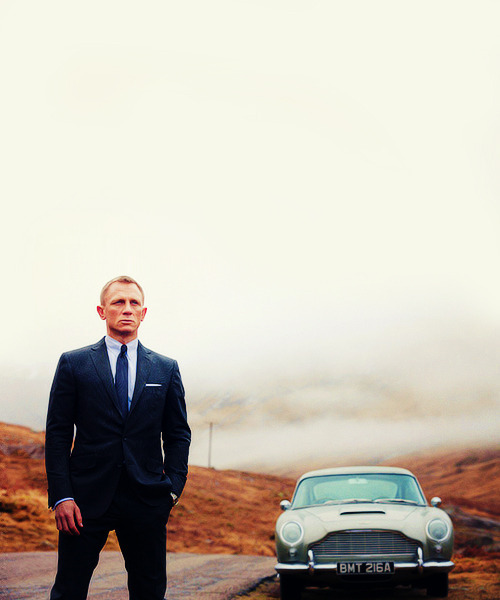 While being relatively tall standing at 5 feet and 11 inches, he is the shortest actor to play the role of James Bond. 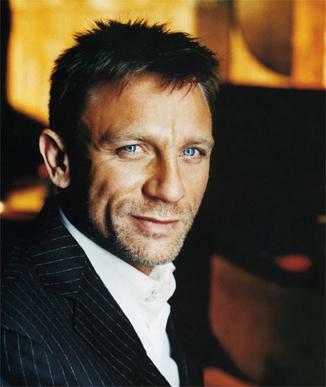 October 2007 - Signed on to play "James Bond" in four more films after Casino Royale (2006).